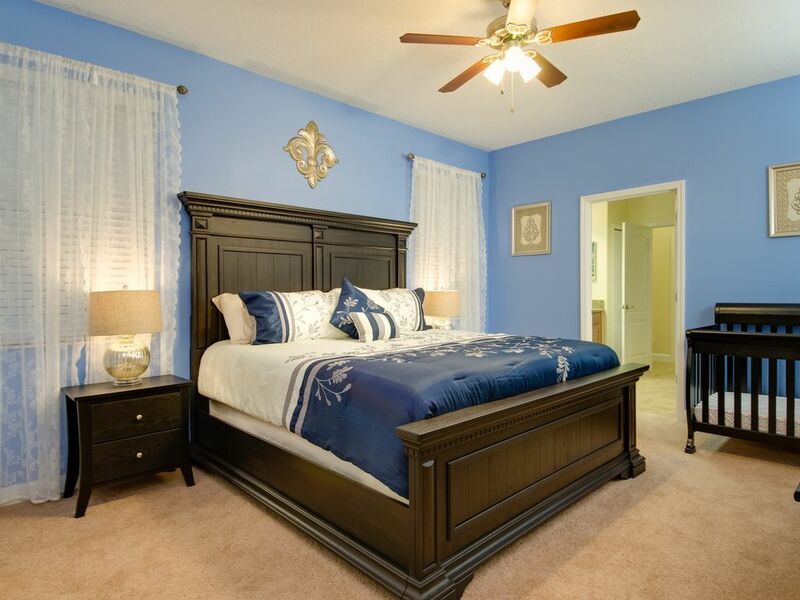 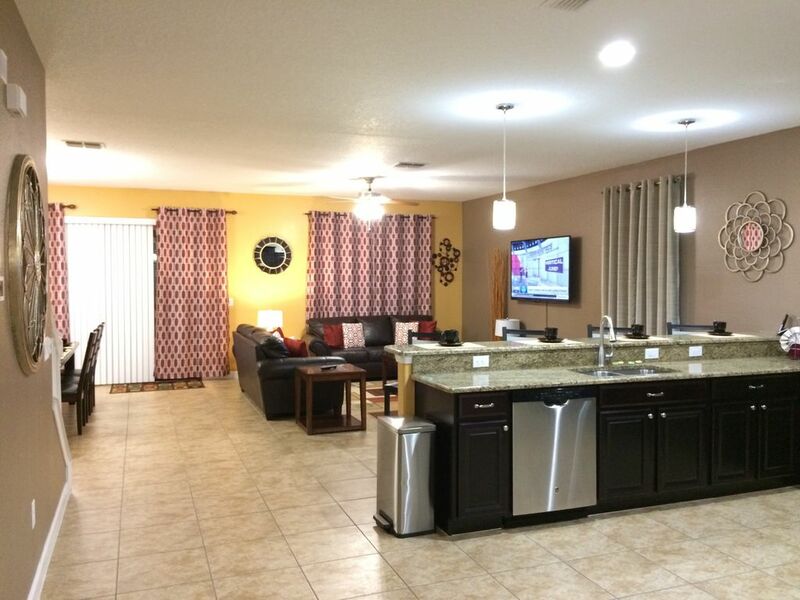 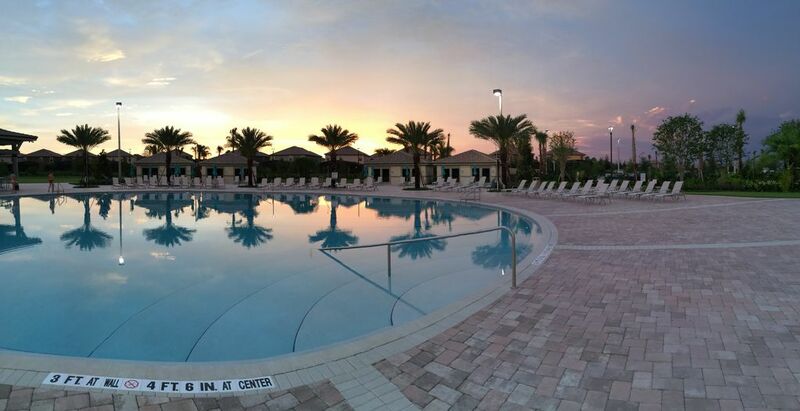 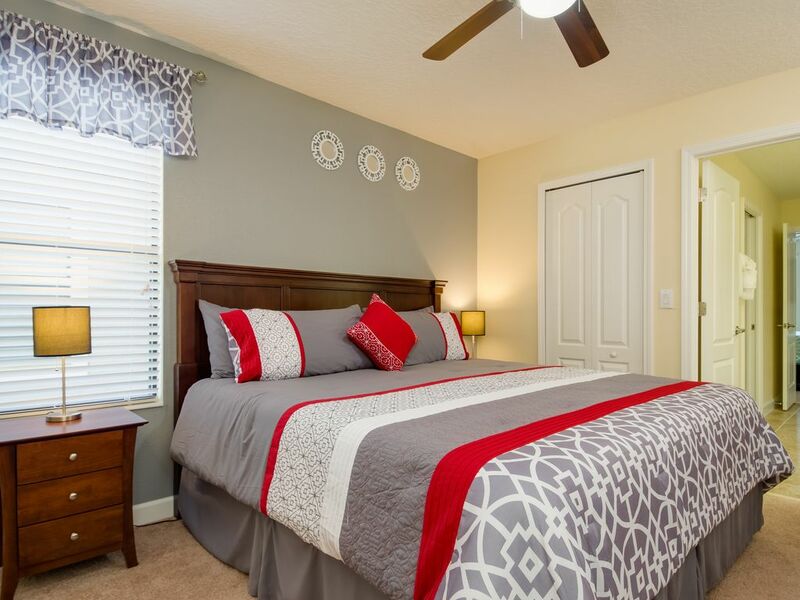 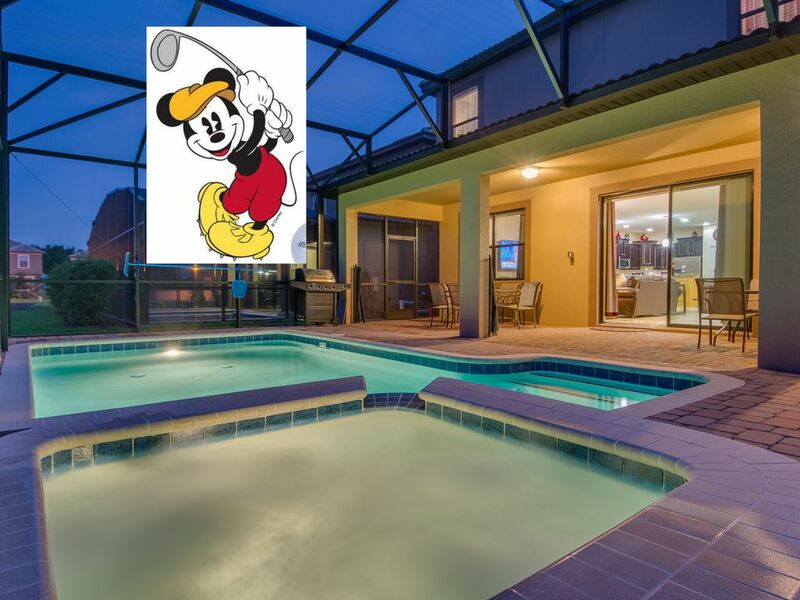 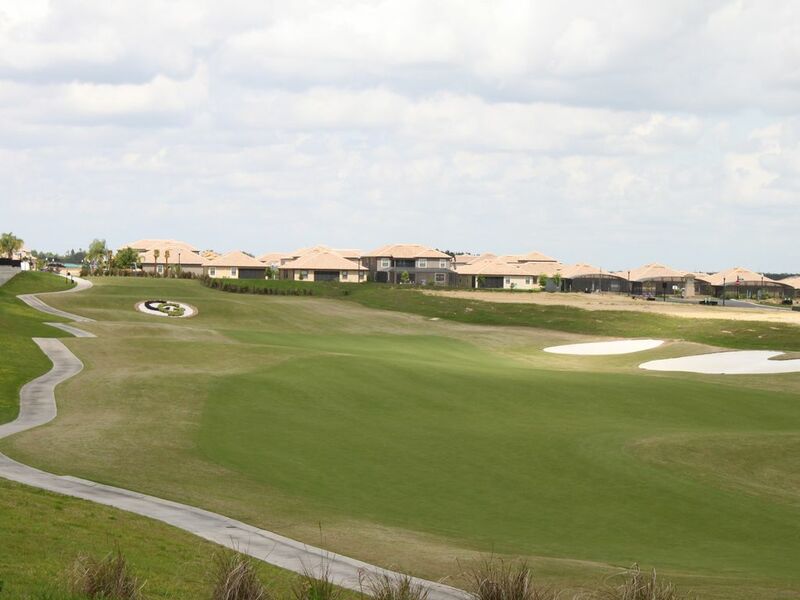 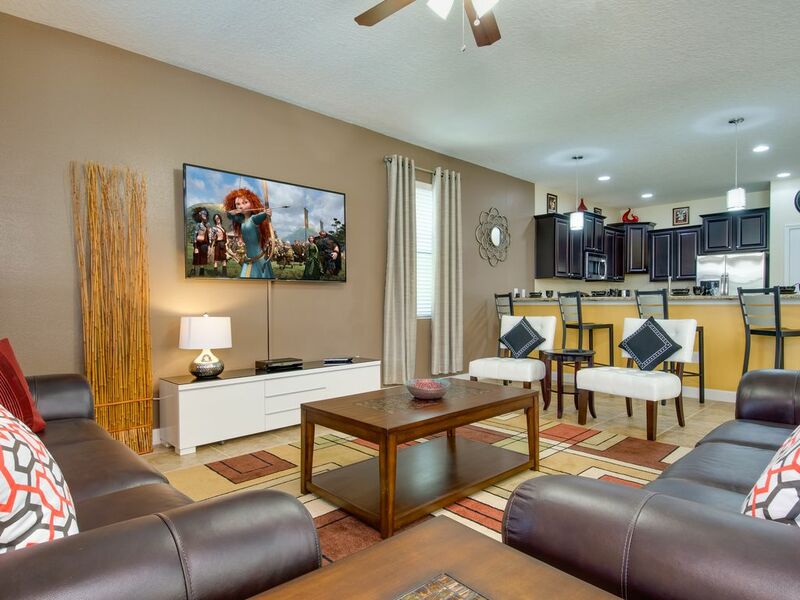 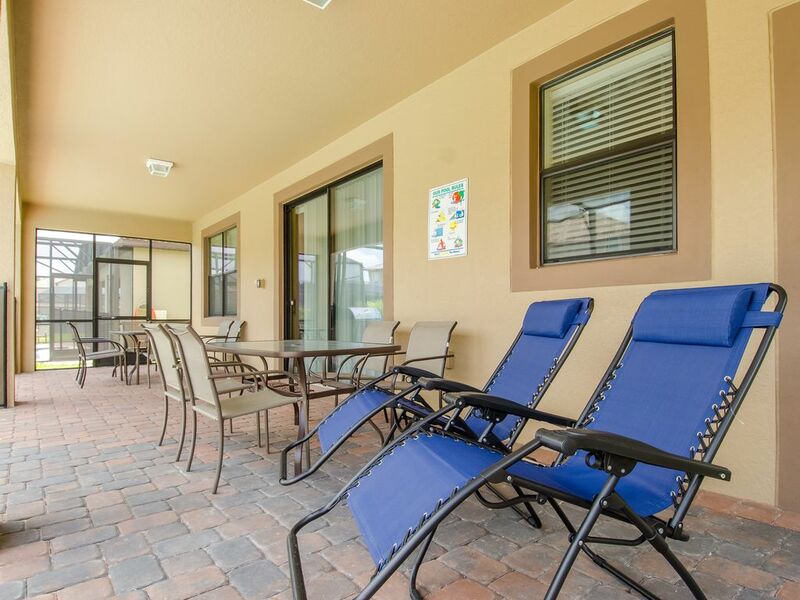 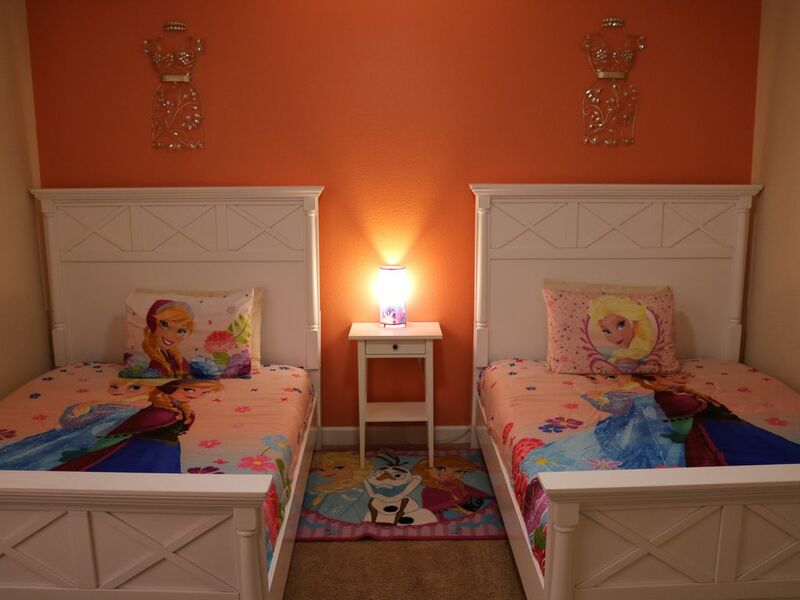 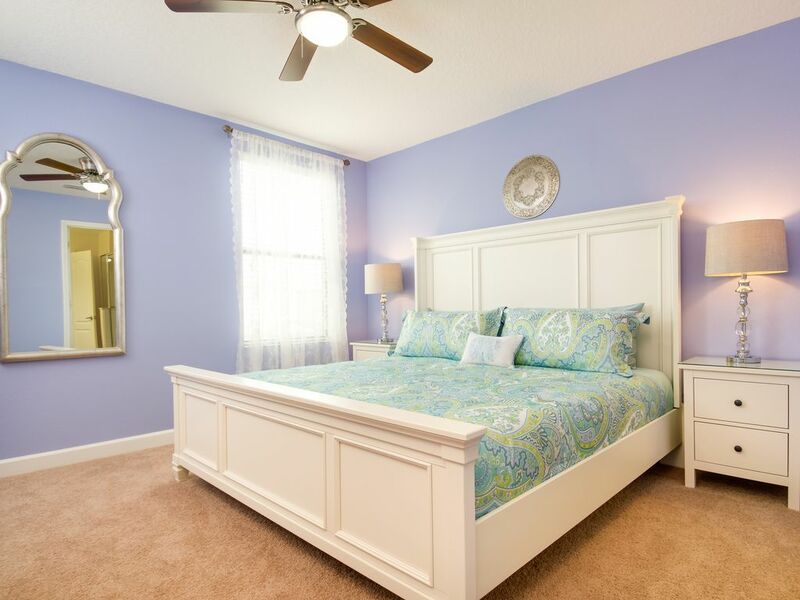 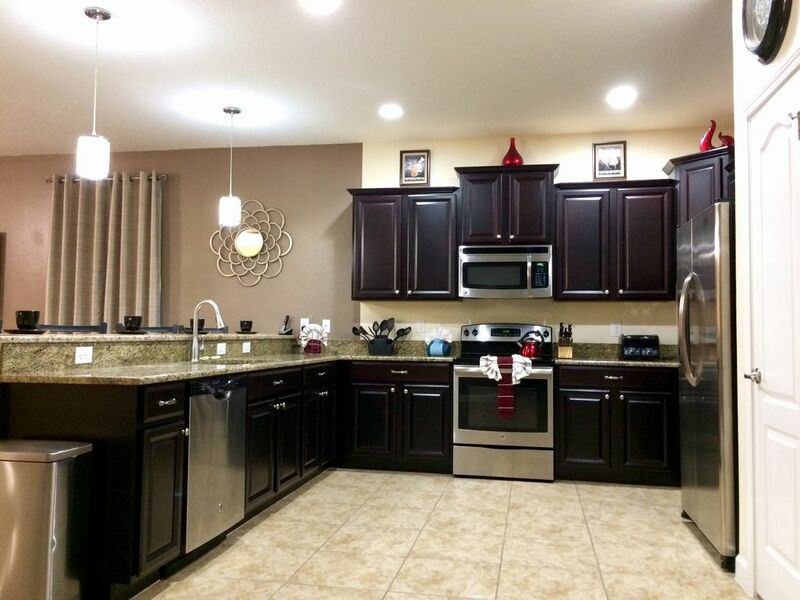 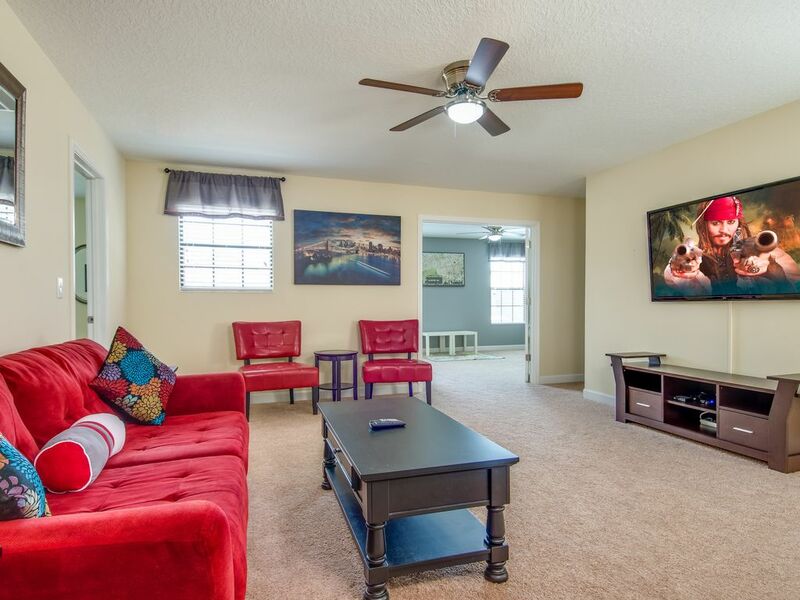 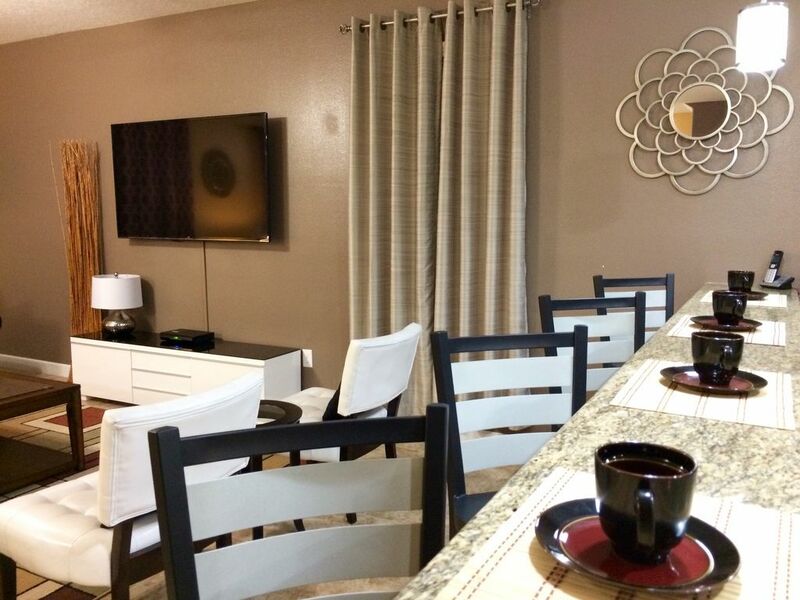 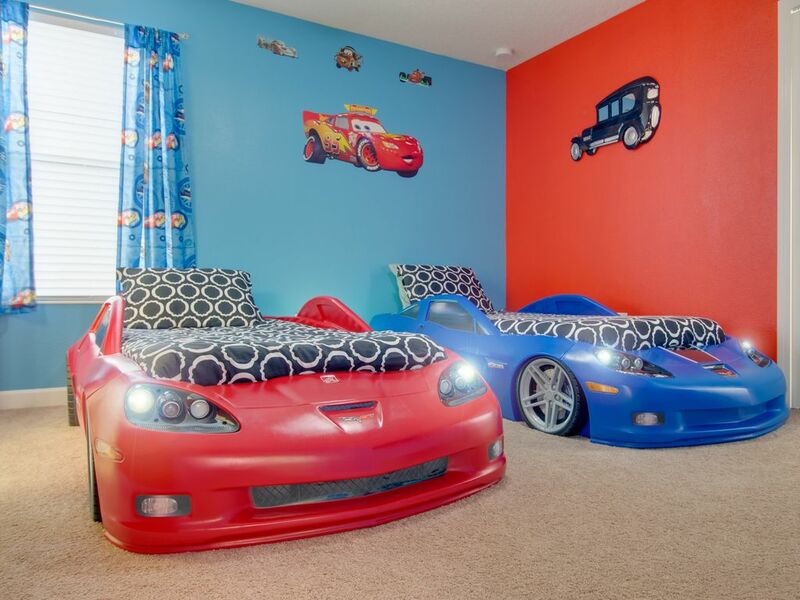 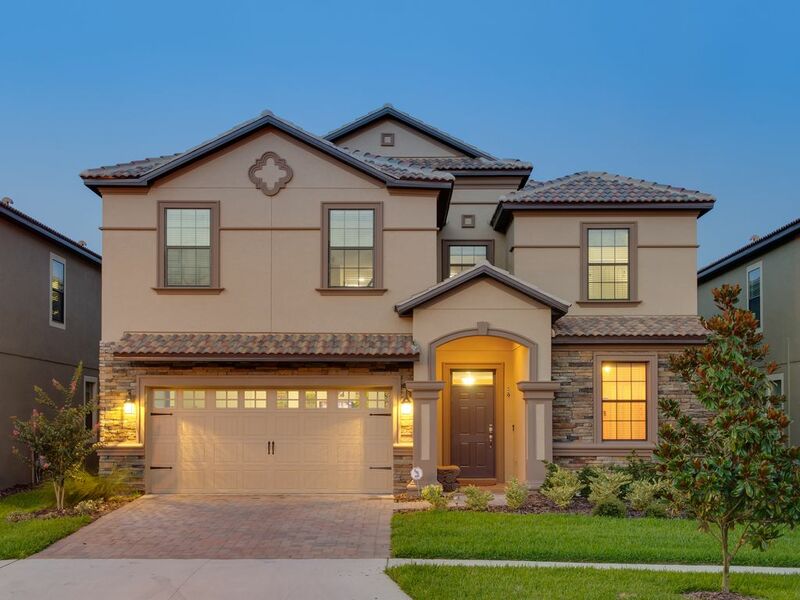 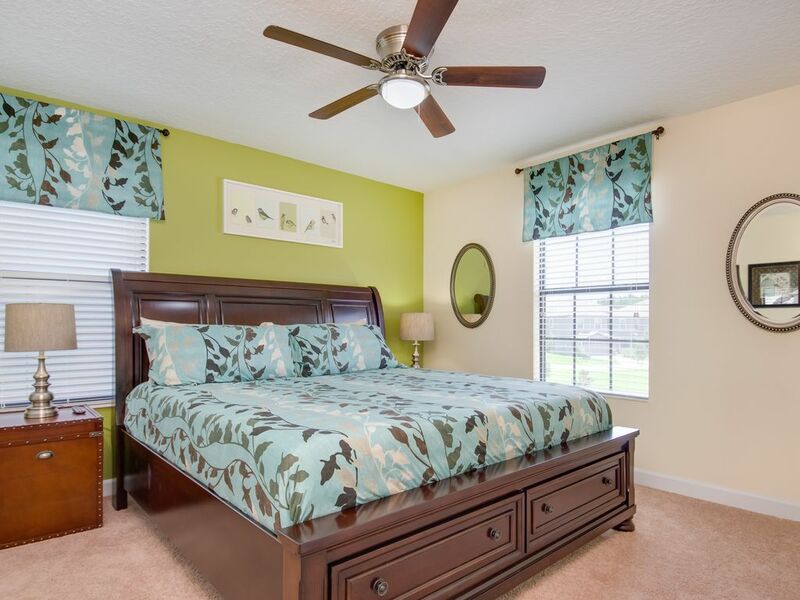 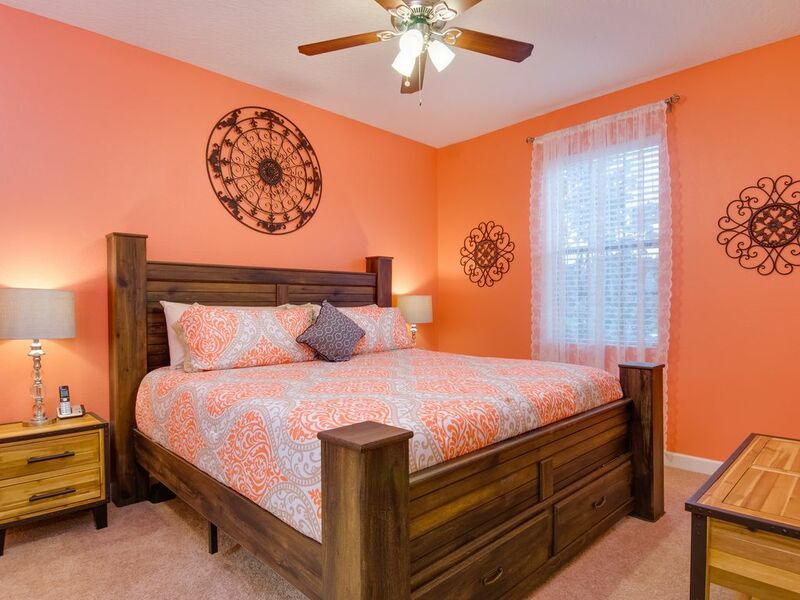 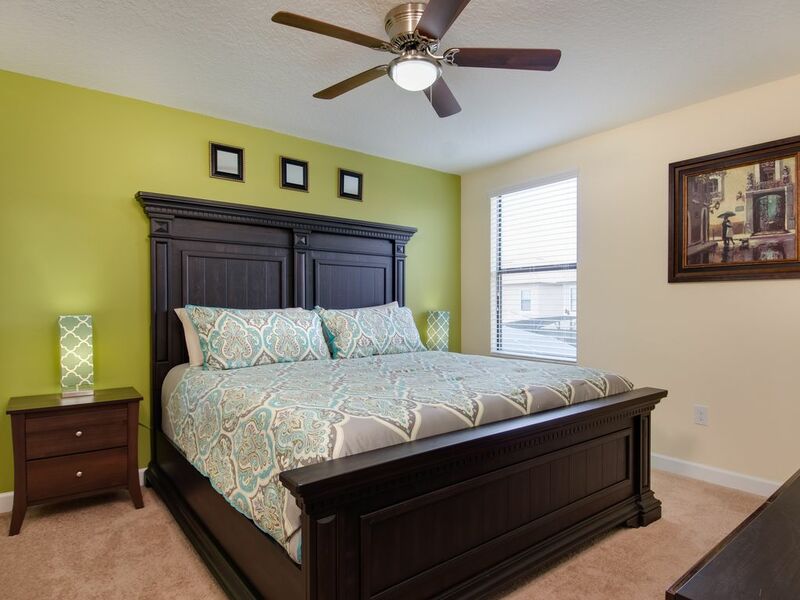 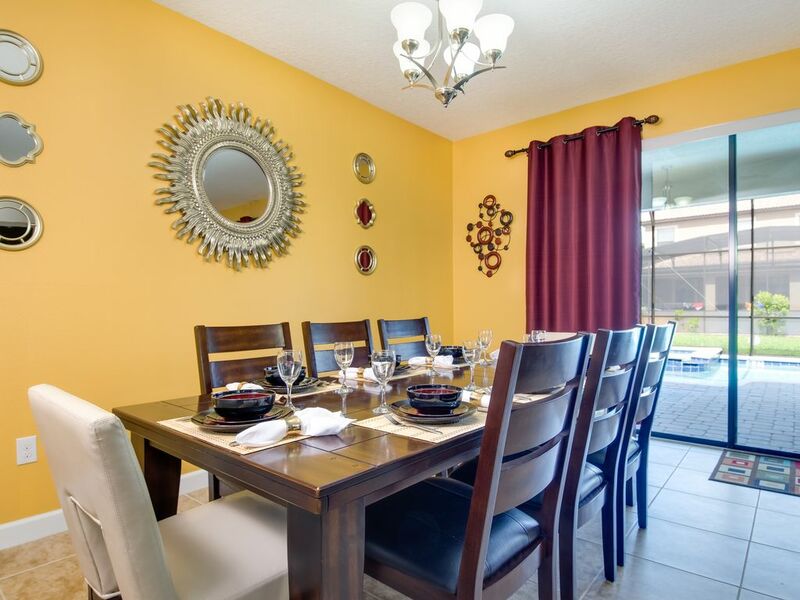 DISNEY and GOLF just minutes from this beautiful Luxury Vacation Home in a gated golf resort and included with your stay are access to excellent resort amenities, such lazy river, tennis courts, movie theater etc. 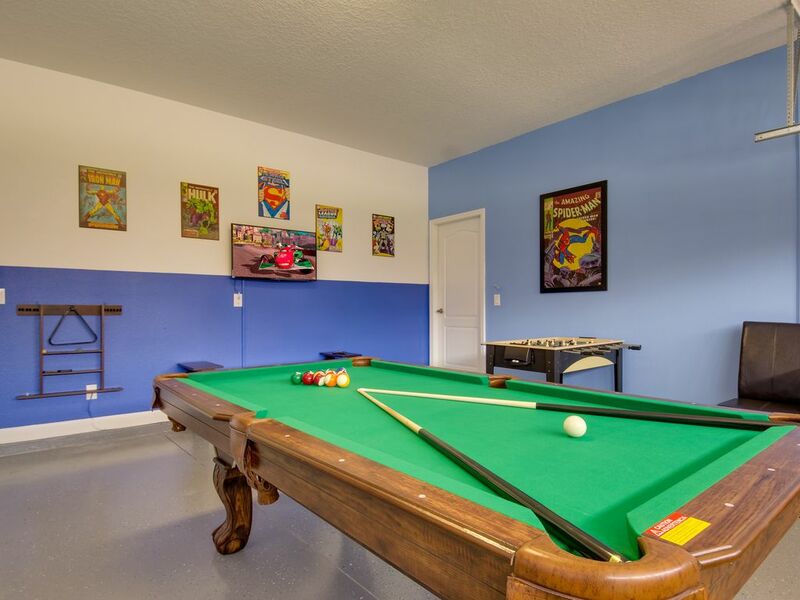 Enjoy this luxury home with your family and friends to spread out and enjoy in NINE bedrooms, private heated pool, jacuzzi, game room, fully stocked kitchen, 2 living areas, flat screen TVs in every room, digital door lock, full-size washer + 2 full dryers, 3 theme rooms and more. 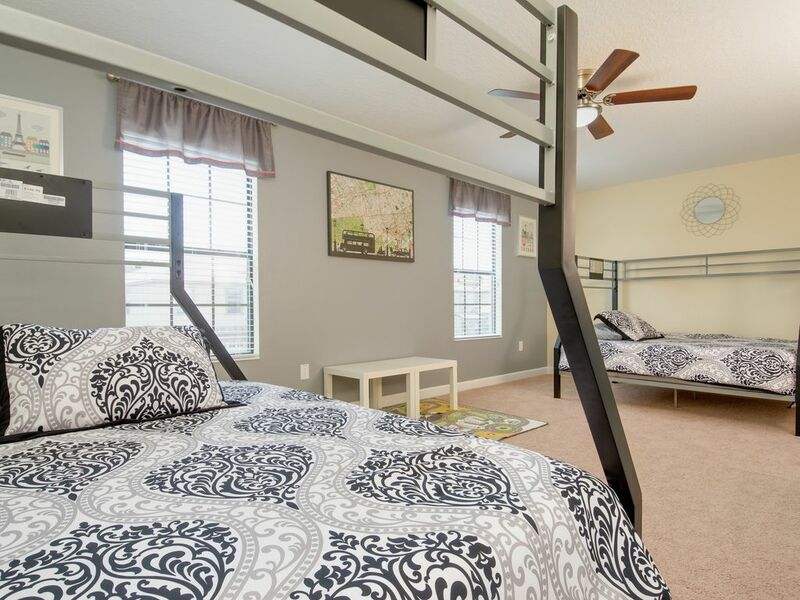 Perfect for family reunions, large groups or families with kids. 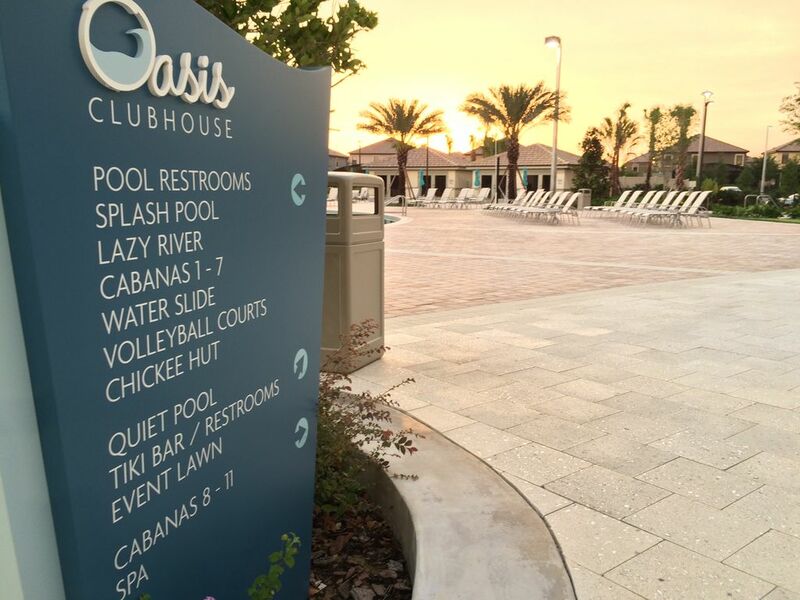 Just walk from Villa to the amazing Oasis WaterPark and also Golf and Tennis !